Popski’s Private Army, officially No. 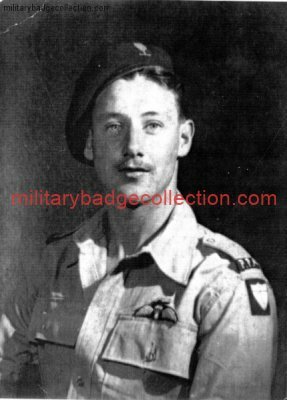 1 Demolition Squadron, PPA, was an unit of British Special Forces founded in Cairo in 1942 by Major (later Lieutenant-Colonel) Vladimir Peniakoff DSO MC. Popski’s Private Army was one of several raiding units formed in the Western Desert during the Second World War. They also served in Italy and the Adriatic before they were disbanded in September 1945. At the start of the Second World War the British military in the Middle East looked for men who had experience in desert survival and knowledge of the North African desert. Vladimir Peniakoff was one such man and in 1941 he was commissioned as a Lieutenant in the British Army. By 1942 Peniakoff had been on a number of operations with the Long Range Desert Group (LRDG). British radio operators having trouble pronouncing his name led to the nickname Popski which was given him by Intelligence Officer of the LRDG, Captain Bill Kennedy Shaw. In the autumn of 1942 he was approached by Colonel John Hackett and asked to form a small independent unit to raid behind the Axis lines. The unit was officially designated No. 1 Demolition Squadron, PPA. From a small start of five officers and 18 other ranks, Popski’s Private Army eventually numbered 120 men, which was the smallest independent unit of the British Army during the Second World War. Their first raid behind the lines in December 1942, nearly ended in disaster. Travelling from Egypt to southern Tunisia they were intercepted by German aircraft, which destroyed all but two of their jeeps. All they had left was what the men happened to be carrying. Starting back to Egypt, Popski and his men covered 4,000 miles (6,400 km) before making contact with British patrols. Less than a month later they were back behind the Axis lines, conducting raids on fuel dumps and installations. On 19 March, 1943, a unit of three men accepted the surrender of 600 Italian soldiers that had been cornered in a wadi. During its time in the desert, Popski’s Private Army was credited with the destruction of 34 Axis aeroplanes, six armoured vehicles, 112 trucks and 450,000 gallons of fuel. For the loss of one man captured and two wounded. After Axis forces surrendered in Tunisia, the PPA saw action in the Allied invasion of Italy. They were part of the British force that landed at Taranto, where they were assigned to reconnoiter enemy forces in the region. They succeeded in getting behind enemy lines and capturing a German quartermaster, who provided details on troop strength in the sector. They also took part in raids in the Adriatic, on one occasion capturing the German garrison of Caserma dei Fiumi Uniti, killing 40 and capturing 152 men, for the loss of three dead and five wounded. In early 1945, the 700-man German garrison of Chioggia surrendered to a patrol of the PPA consisting of 12 men and six jeeps. The following summer, the PPA crossed the Sibellini mountains and captured the town of Camerino. 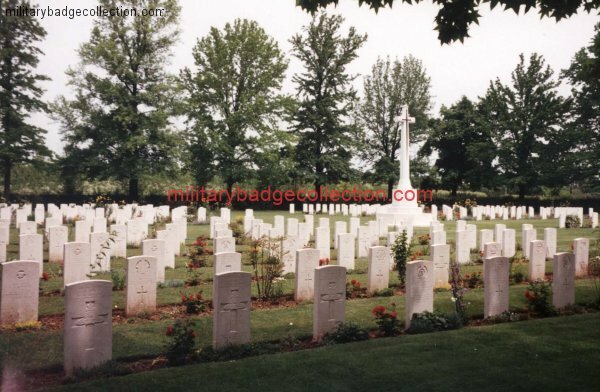 With the end of the Second World War Popski’s Private Army was officially disbanded on 14 September 1945. In April 1942, when the Japanese drove the British Army from Burma and seemed likely to invade India, General SirArchibald Wavell ordered the creation of a guerilla organisation which was to operate along the frontier between India and Burma. This frontier ran for 800 miles (1200 kilometres), from the Himalayas to the Bay of Bengal. V Force was envisaged as a “stay-behind” force. If the Japanese had invaded India after the monsoon season ended late in 1942, V Force was to harass their lines of communications with ambushes and sabotage, and to provide intelligence from behind enemy lines. The force was organised into six area commands, corresponding to the Indian Civil Service administrative areas, which in turn corresponded to the ethnicity of the inhabitants of the various parts of the frontier. Each area command had a Commander, Second-in-Command, Adjutant, Quartermaster and Medical Officer, four platoons (about 100 men) of the paramilitary Assam Rifles and up to 1,000 locally enlisted guerillas or auxiliaries. The area commanders and other officers were rarely Regular Army officers; the qualification for appointment was more often expert knowledge of the local language and peoples. Some commanders were police officers or former civil administrators. Even some tea planters served as senior officers of V Force. The Japanese did not invade India in 1942 as had been feared. V Force was able to consolidate itself in the wide area between the Allied and Japanese main forces. Bases and outposts were set up, standing patrols instituted and intelligence gathered and collated. By the end of 1943, the force had been reorganised into two main zones:Assam Zone, including Imphal and all the frontier north of it, and Arakan Zone to the south. Detachments in Tripurawere disbanded as they were deep inside India and unlikely to be threatened; an American organisation later took over the northernmost areas around Ledo. When the Indian Eastern Army carried out a small-scale invasion of Japanese-occupied Arakan in early 1943, V Force provided a degree of warning about the movements of Japanese reserves to the threatened area. Later operations. The threatened invasion of India finally happened in 1944. The V Force detachments forward of Imphal were engulfed. They could provide some intelligence of Japanese moves during the invasion, but they lacked supplies (the local dumps had been drawn down over 1943) and there were too many demands on Allied transport aircraft to allow supply drops to them. As a result they were unable to harass the Japanese lines of communication as had been planned, and had to disband or make their way back into Allied lines. The Lushai Brigade was formed from Indian infantry battalions and several thousand of V Force’s former levies in the Lushai Hills, west of Imphal. Under Brigadier P. C. Marindin, they achieved great success against the lines of communication of the Japanese 33rd Division, and later spearheaded the Fourteenth Army’s advance to theAyeyarwady River west of the Chindwin River. When the Japanese retreated late in 1944 and the Allies advanced, V Force changed its character. Small detachments of native-speaking personnel operated immediately ahead of the advancing regular formations, to gather short-range intelligence. Ambushes were also conducted against the retreating Japanese forces when possible. A very similar unit, Z Force established by Fourteenth Army operated further ahead, its parties being deployed by helicopter or parachute 80 to 100 miles (120 to 160 kilometres) ahead of the main forces. Once Burma was largely reoccupied in 1945, V Force began deploying parties in Siam and Malaya in readiness for future operations. The war ended before they could be used in their intended role. In the Arakan, V Force became involved in a local conflict between the mainly Moslem Maugh and Buddhist Arakanese peoples. The Maughs provided most recruits for V Force, the Arakanese supported the Japanese. Over the three years during which the Allies and Japanese fought over the Mayu peninsula, the Maughs engaged in a campaign against Arakanese communities, in many cases using weapons provided by V Force. In defence of the force, it can only be said that the conflict was no part of official policy, and possibly unavoidable in the situation. Effectiveness. Overall, V Force provided a useful screen for the Allied armies in India during the stalemate of 1942 and 1943. It proved unable to carry out its intended role of sabotage against enemy lines of communication, although theLushai Brigade showed what was possible with assistance from regular units. Scoones was not referring to V Force alone. However, one of his subordinates at Imphal (Major-General Douglas Gracey, commanding Indian 20th Infantry Division) broke up his best battalion (9/12th Frontier Force Regiment) to provide his own forward screen, rather than relying on V Force. For most of the Burma campaign, Allied formation commanders treated reports from organisations such as V Force as reliable only when a British officer personally gained the information. V Force was also hampered by lack of Japanese translators or interpreters to deal with captured documents. Lessons. V Force established certain principles in Britain’s handling of guerilla or irregular operations, which were to be important in later conflicts such as the Malayan Emergency. It was accepted that “civilians” with local expertise were entitled to command regular officers. Above all, V Force depended on the goodwill and loyalty of the local populations among which they operated, and made great efforts to gain this. The Malayan Peoples’ Anti-Japanese Army (MPAJA) was a resistance movement during Japanese-occupied Malaya during World War II. It originated among ethnic Chinese cadres of the Malayan Communist Party (MCP). Some units were trained by the British. The equipment and skills gained in guerrilla warfare against the Japanese served the MPAJA in good stead when it fought Commonwealth forces during the postwar Malayan Emergency (1948-1960). Long before Malaya fell to Japan in 1942, many Chinese Malayans had been hostile to Japan, because of the Second Sino-Japanese War (which began in 1937). On December 18, 1941 shortly before the Fall of Singapore, the British and the MCP, formerly enemies, agreed to cooperate against the Japanese in Malaya. The British freed those MCP members they were holding in jail. They also gave some MCP members a crash course in guerilla warfare at 101 Special Training School (STS) in Singapore. These people then dispersed into the countryside to form an underground resistance force against the Japanese. Although small in number (about 165), they were one of the nuclei around which the MPAJA formed. The majority of the MPAJA’s soldiers came from the general population in Malaya, which was wholly occupied by the Japanese after the fall of Singapore on 15 February 1942. The MCP also participated in the defence of Singapore; they formed the largest group in Dalforce, the volunteer army that was formed to fight alongside the regular British soldiers. For various reasons, including the enmity of China and Japan in their recent history, and the racial policy pursued by the Japanese in Malaya (they were much harder on the Chinese than on the Malays), the membership of the MPAJA became predominantly Chinese, although there were significant numbers of ethnic Malays and Indians also. The MPAJA was closely related to the Malayan Communist Party (MCP), and was directed by the MCP, but the organisations were not identical and most MPAJA members were not Party members. The MPAJA was joined by isolated Allied personnel who had been left behind in the retreat, or had escaped prisoner of war camps. Cheah (Boon Kheng) has characterised the MPAJA’s struggle against the Japanese as having gone through three periods. From February 1942 until mid 1943 they “fared badly, lacking food, capable leadership, and sufficient training and experience in guerrilla warfare. Japanese terrorism prevented people of all races from helping the guerrillas. 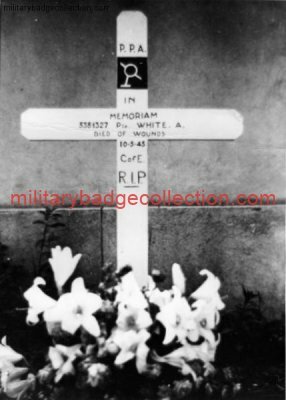 One-third of the guerrilla force was said to have died during this period.” The second period lasted from mid 1943 until mid 1944. This period “saw the MPAJA improve its organization, food supplies, communications system, and military training; consequently, it was said to have increased four times in size.” The third period, from mid 1944 until the end of the war in August 1945, was one of both “consolidation” and continued growth. Also during this period the British were at last able to help the MPAJA by air-dropping them supplies. After Singapore’s fall, the MPAJA and the British in Southeast Asia had lost contact. The British attempted to reestablish communications by landing army agents in Malaya by submarine. The first party, consisting of Colonel John Davis and five Chinese agents from the irregular warfare organisation Force 136, landed on the Perak coast on 24 May 1943. Other groups followed, the last on 12 September 1943. On 1 January 1944, MPAJA leaders arrived at the Force 136 camp and entered into discussions with the Force 136 officers. “It was agreed that in return for arms, money, training, and supplies the MPAJA would cooperate and accept the British Army’s orders during the war with Japan…” However, Force 136 was unable to keep several pre-planned rendezvous with its submarines, and had lost its wireless sets; the result was that Allied command did not hear of the agreement until 1 February 1945, and it was only during the last months of the war that the British were able to supply the MPAJA by air. The MPAJA engaged in reprisals against members of the local population who collaborated with the Japanese. Because of Japanese policy, these tended to be ethnic Malays, many of whom the Japanese employed as policemen. Although the MCP and MPAJA consistently espoused non-racial policies, the fact that their members came predominantly from the Chinese community caused their reprisals against Malays who had collaborated to be a source of racial tension. They have been criticised for this and also for occasionally wasting time attacking the Kuomintang instead of the Japanese. The first Indian airborne formation was the 50th Parachute Brigade raised on 29 October 1941, consisting of 151 British, 152 Indian, and 153 Gurkha parachute battalions alongside other support units. Lt. (later Col.) AG Rangaraj, MVC, of the Indian Medical Service and RMO of the 152 Indian Para battalion, became the first Indian along with Havildar Major Mathura Singh to make a parachute descent. In 1942-43, the formation saw limited action at Nara against Pathan tribals in the North-West Frontier Province and conducted some intelligence-gathering missions in Burma, utilizing their somewhat limited airborne capabilities. Later, in March 1944, less the British battalion (which was transferred to Britain and renamed the 156th Para battalion and formed part of the 4th Parachute Brigade of the 1st Airborne Division), the brigade, less 154 Gurkha Para battalion, saw extensive action at Sangshak and later in the Imphal Plains on the Burmese border against two reinforced Japanese divisions. 154 Gurkha Para battalion had not completed its air training, so stayed back to attain the airborne status. During the Battle of Sangshak (21–26 March 1944), which lasted six days, the brigade suffered extremely heavy casualties, totaling 40 officers and VCOs and 545 other ranks, winning the appreciation of Lt Gen William Slim, the commander of the British Fourteenth Army. The breakout on the night of 26 March 1944 saw the remnants of the once-proud parachute brigade fight its way south and then west through the Japanese-infested jungles to Imphal. It achieved its task of preventing the flanking Japanese forces from surrounding Imphal and destroying IV Corps. Despite the losses it suffered in Sangshak, the paratroopers formed ad hoc units and continued to participate in actions to destroy Japanese forces near and around Imphal until its withdrawal at the end of July. Later in 1944, the brigade was expanded to form the 44th Indian Airborne Division as the original 9th Airborne Division was to be named because the 44th Armoured Division (whose services were no longer required in the Middle East theatre of war) was to be converted to an airborne unit. The two ad hoc brigades from the Chindit operations, 14th and the 77th, were included to form the division. The original plan was to have a battalion each of British, Indian and Gurkhas in both the parachute brigades, with the 14th being converted for the airlanding role, though there is little known about gliderborne training or operations in India. 14th was later to be converted for the airborne role. The Governor General’s Body Guard (GGBG) joined the airborne fraternity and was named the 44th Airborne Division Reconnaissance Squadron. 9 Field Regiment (RIA) and other support units too were inducted. 60th Indian Parachute Field Ambulance which till then had been in Burma and performed well, was selected to augment the medical element for the formation. The 44th Indian Airborne Division was finally designated the 2nd Indian Airborne Division in 1945. The plan was to raise an entire airborne corps with the 6th British Airborne Division (of D-Day/Normandy fame) to be brought to India as the second divisional formation, but the war ended before it could materialize. The regiment’s first airborne action was towards the end of the Second World War, when a reinforced Gurkha Para battalion was parachuted into Burma at Elephant Point on May 1, 1945, as part of Operation Dracula. The battalion performed well earning the respect of all, including the critics of airborne warfare. The Indian Parachute Regiment was formed on 1st March 1945, consisting of four battalions and an equal number of independent companies. Despite the performance in Operation Dracula, the Indian Parachute Regiment was disbanded in late 1945 as part of the reduction and restructuring of the postwar British Indian Army. However, they retained their airborne role and formed part of the airborne division. After independence, the airborne division was divided between the armies of India and newly formed Pakistan, with India retaining 50th and 77th brigades while Pakistan took possession of the 14th Parachute Brigade. In the post independence restructuring, the Indian government retained only one airborne formation, 50 Independent Parachute Brigade. This brigade consisted of three distinguished battalions personally nominated by the then Commander-in-Chief, namely 1 Para (Punjab), 2 Para (Maratha) and 3 Para (Kumaon). During the J&K operations of 1947-48, these battalions had distinguished themselves with glory in the battles of Shelatang, Naushera, Jhangar and Poonch, after which they were awarded the respective battle honours. On 15th April 1952, the Parachute Regiment was raised by absorbing the three existing parachute battalions, namely 1st battalion, The Punjab Regiment (Para) redesignated 1st battalion, The Parachute Regiment (Punjab), 3rd battalion, The Maratha Light Infantry (Para) redesignated 2nd battalion, The Parachute Regiment (Maratha) and 1st battalion, The Kumaon Regiment (Para) redesignated as 3rd battalion, The Parachute Regiment (Kumaon). 1961 saw the raising of the 4th battalion to augment the strength of the regiment. After the debacle of 1962, the regiment, as with the rest of the armed forces, saw expansion on an unprecedented scale, with the 5th, 6th, 7th, and 8th battalions being raised in a span of two years. During the 1965 war, an irregular force with volunteers from various infantry regiments under Major Megh Singh of the Brigade of the Guards carried out unconventional operations and achieved results disproportionate to its strength, and the need for unconventional forces was felt. The force had been disbanded and the volunteers reverted to their parent units. Major Megh Singh was tasked to raise a battalion for the purpose, resulting in the raising of 9 Para (Commando) on 1 July 1966. The unit was originally raised as part of the Guards, but paratrooping being an integral part of commando/special operations, became the 9th battalion of the Parachute Regiment. One year later, on 1 July 1967, the battalion was split into two and 10 Para (Commando) was raised. Currently, the regiment has nine special forces (SF) battalions: 1, 2, 3, 4, 9, 10, 11, 12 and 21 Para (SF), and five airborne battalions: 5, 6, 7, 23 and 29 Para. The regiment also has two Territorial Army battalions (106 Para and 116 Para) and one Rashtriya Rifles battalion (31 Para). During their short but eventful existence so far, the battalions of the regiment have had extensive operational experience and singular achievements to speak of their level of professionalism. During the Indo-Pakistani War of 1971, the regiment fought numerous actions both in the eastern and western theatres. For the first time in the annals of independent India’s history, a parachute battalion (2 Para) was dropped over Tangail, which contributed substantially to the speeding up of the liberation of Bangladesh. The para commandos proved their professional skills by conducting spectacular lightning raids into Chachro, Sindh and Mandhol, Jammu and Kashmir. The regiment earned the battle honours of Poongli Bridge, Chachro and Defence of Poonch during these operations. Five battalions (including the three commando battalions) of the regiment participated in Operation Pawan (Sri Lanka). With 6 Para in the lead, 50 Independent Parachute Brigade took part in Operation Cactus, the first successful overseas intervention operation to aid the duly elected government of the Maldives. The parachute battalions employed counter-insurgency roles, both in the northeast and Jammu and Kashmir, have performed commendably, earning 11 COAS Unit Citations. In these operations, 11 personnel of the regiment were awarded the Ashok Chakra, the nation’s highest gallantry award in peace. 9 Para (SF) was conferred the “Bravest of the Brave” honour in 2001. In 1999, nine out of ten parachute battalions were deployed for Operation Vijay in Kargil, Jammu and Kashmir, which bears testimony to the operational profile of the regiment. While the parachute brigade cleared the Mushkoh Valley, 5 Para was actively involved in the Batalik sector, where it exhibited great courage and tenacity, and was awarded the COAS Unit Citation. Calls of international peacekeeping have taken parachute units to Korea (1953–54), Gaza (1956–58) and Sierra Leone (2000). The latter was a daring rescue mission conducted by 2 Para (SF). In the field of adventure, the regiment’s many achievements include the late Capt. (later Col.) AS Cheema, SM, the first Indian atop Mount Everest (1965), Col. SS Shekhawat, KC, SC, SM, VSM, who scaled the peak thrice (2001, 2003 & 2005) and Maj. Abhijeet Singh, SM (2003). The Parachute Regiment Depot and Records was raised at Agra on 15 April 1952, to coincide with the raising of the regiment. All personal documents were transferred to Depot and Records from the Punjab, Maratha and Kumaon Regiments. Simultaneously, a Personal Accounts Office (PAO) for the regiment was raised at Mathura as part of PAO(OR) Artillery. On 1 May 1962, a training wing of the Parachute Regiment was formed at Kota under the Brigade of the Guards Training Centre and thus started the direct recruitment and training of recruits for the Parachute Regiment. The regiment started augmenting its strength from 1961. About the same time, in order to ensure a better intake of recruits into the regiment, the raising of a training centre was authorized on 13 March 1963, and the Government of India accorded sanction for raising of an independent training centre. The executive order for raising the Parachute Regiment Training Centre was received on 22 June 1963. The “Parachute Regiment Depot and Records” designation was changed to “The Parachute Regiment Training Centre”. The Centre was located at Agra Fort. The first batch of recruits from the Rajputana Rifles, Rajput, Sikh and Dogra regiments started arriving in the training battalions located at Kheria Camp (Agra). On 26 September 1963, the Parachute Regiment training wing at Kota joined the Centre. On 5 February 1965, the centre moved to Morar Cantonment, Gwalior. The centre, in addition to doing the normal training of infantry recruits, was also responsible for all parachute training. For this purpose, a Para Holding Wing was established on 1 April 1966. The Para Holding Wing was responsible for carrying out basic and reservist training for all active and reservist paratroopers. In war, the Para Holding Wing had the added responsibility of providing transit camp facilities for launching of an airborne operation. On 5 June 1967, the PAO(OR) The Parachute Regiment also moved from Mathura to Gwalior. On 2 October 1975, the Parachute Regiment Training Centre, Records and PAO(OR) moved to Agra. On 15 January 1977, the erstwhile Para Holding Wing was disbanded and additional staff and vehicles were authorised to the Parachute Regiment Training Centre to carry out all of the above functions of the Parachute Holding Wing. Para Holding Wing continued functioning from Kheria and its old name was retained. The Para Holding Wing thereafter merged with the Army Airborne Training school, Agra on 15 January 1992. On 15 January 1992, the Parachute Regiment Training Centre along with the Records and PAO(OR), the Para Regiment moved to Bangalore and occupied the erstwhile location of Pioneer Corps and Training Centre. Bangalore is the new Key Location Project of the Centre.